Hello Bloggers! Today you are going to know all about white hat seo. Search Engine Optimization is one of the basic fundamental needs for business owners. Nowadays all the business including large and small, have their websites. Getting your business online, a website is compulsory. Having a website increases your sales and makes your presence in the world of internet. So, it is a better idea to have a well working website. Having website is good but getting known also matters. To get known all over the world, your website must be one of the toppers. There is only one and best method to get top, that is getting ranked on search engine. You might have seen number of peoples using Google as their default search engine. Yes Google is one of the world’s best search engines that produce most relevant results. Optimizing a website for search engine is the major task. There are two different methods of SEO. They are White Hat and the second is Black Hat. Here we are going to discuss on white hat method. Almost 90% of people follow this method to get ranked on Google. In ancient time, there was almost no value for white hatter. There were a lot of black hatters who dominate Google. After the release of Google’s new ranking algorithm, almost 60% of websites were affected. There are various methods of white hat seo. Here are some of them that matters a lot. 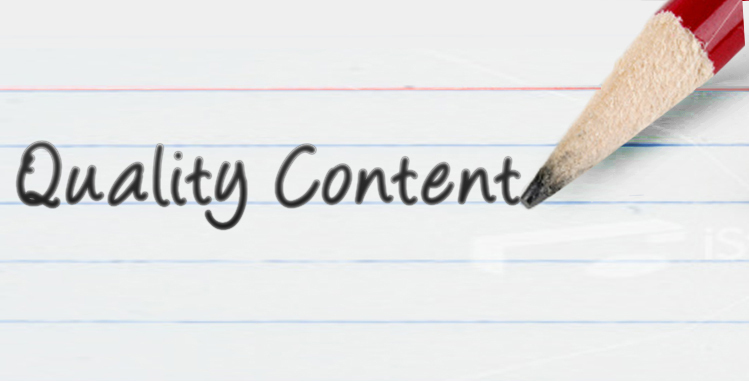 Quality Content: Yes, Google never likes to rank websites that do not have quality content. For the better optimization of a webpage, the content should be length. Your content should not only contain Medias, there must be sufficient text in it. Google’s panda (a product of ranking algorithm) always penalizes the site that produces copied content. Yes, copying contents from other’s website is a crime and Google will never rank you for this. So, you should always write content yourself. Relevancy: Relevancy is one of the second phenomena that affects ranking of a particular webpage. If your website don’t have specific keyword that it needs to be ranked then all your efforts becomes worthless. Keywords are the words that people use while searching something on search engine. Google always want to serve relevant results to their users. So it is also important to have specific keyword in your article. While doing this, be aware of keyword density. This may penalize you. Having keyword density of 2% or 3% of total keywords is better and effective. Quality Backlinks: Building back-links is also important. The best method of building back-links is to guest post on High PR blogs or websites. This will gradually influence your ranking. I am Bishnu Dev. I love web development and running SEO projects. I own a technology blog called Smartphonetool. Happy Blogging!